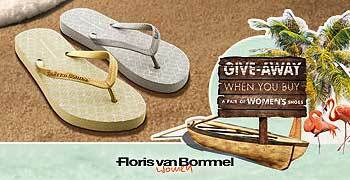 The Floris van Bommel online shop offers free shipping for orders over € 500,-. except for the USA and Andorra. 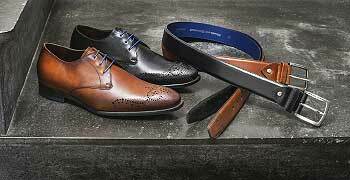 For orders below € 500,- shipping costs vary between € 5,95 and € 29,95, according to destination. Please make sure that your order will be shipped from the Netherlands, so please be adviced that orders placed outside the European Union are likely to incur customs charges when they reach their destination. These charges must be paid by the recipient of the parcel. We have no control over these charges, and are unfortunately not able to tell you what the cost would be, as customs policies and import duties vary widely from country to country. If you would like to have an indication of the charges up front, we advice you to contact your local customs office. Orders placed on weekdays and before 2 PM are normally shipped the same working day. Should you have entered a faulty or wrong delivery address, we recommend you to contact us as soon as possible. Please send us an email when your delivery is delayed and we will inquire with the shipping company on your behalf. Unfortunately, it is not possible to specify a preferred delivery time. You can find out the expected delivery time via the track & trace link. There is a maximum of four delivery attempts before the shipment is returned to the sender.